Did you know that Sam was back? Stylist Sam is back from her maternity leave and having fun! 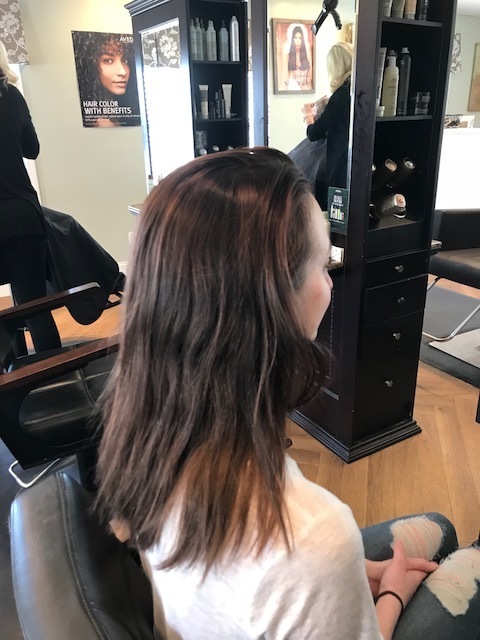 Check out this before, during and after on her guest Mackenzie. What a transformation! Welcome back Sam. We missed you. Lowlights (adding darker pieces for contrast) can make all the difference! On Vanessa, Jacqui balayaged darker pieces in to break up her solid blonde bottom, the results are amazing! 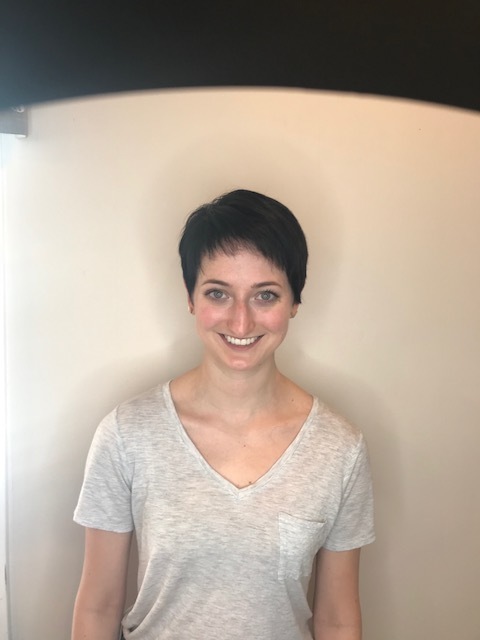 Hannah donated 10 inches of hair! Stylist Amy was so happy to be the one to do this haircut. Keep on being great, Hannah! We're proud of you. The Eco Salon is proud to announce we are now certified in the Vomor Hair Extension System! Vomor hair extensions offer volume, thickness, color, and length! We now have endless opportunities to bring our every guest’s natural beauty. 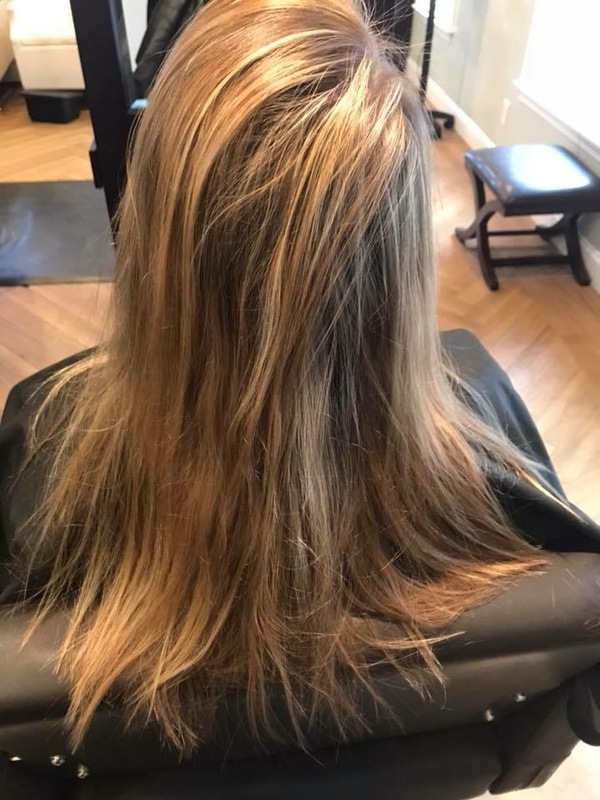 Check out some amazing before and after photos below and then call to book your appointment! Check out this before and after of Samantha. Co-Owner Jen took Samantha’s grown out faded color and revamped it with a rich very dark brown. Then for her fabulous new pixie cut!! 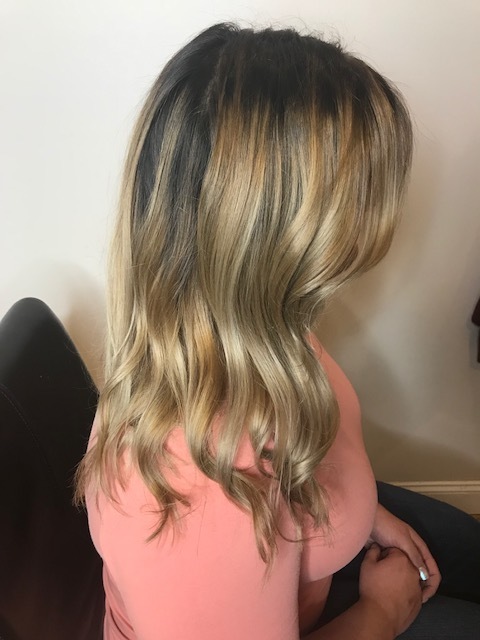 Full Balayage by Stylist Shannon on her guest Sarah. 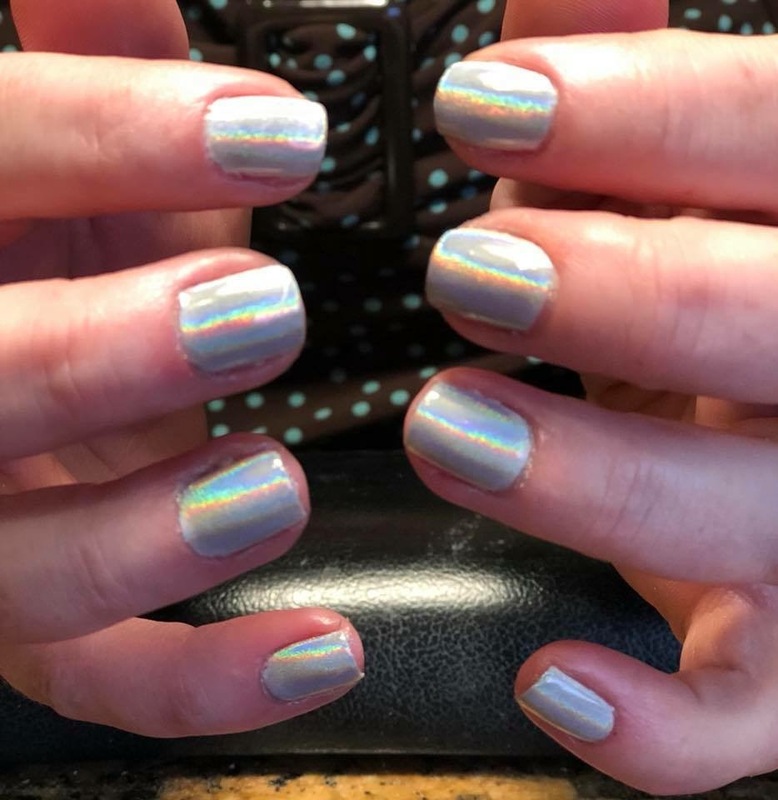 Holographic chrome nails are in for spring! 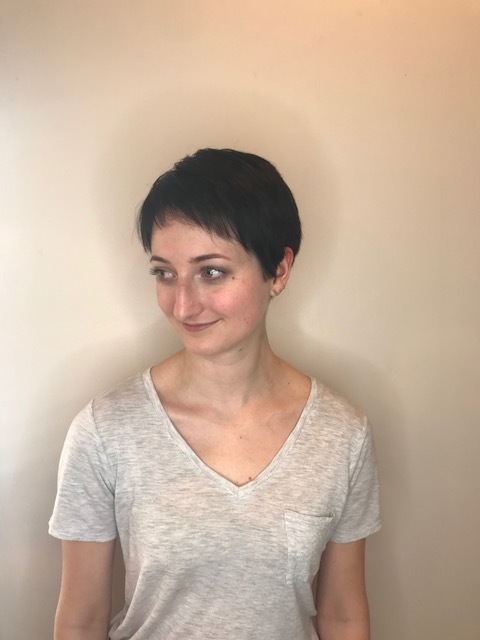 Stylist Amy went a little darker for Tricia’s color this visit at Eco. Then she added some bangs and texture to Tricia’s cut. 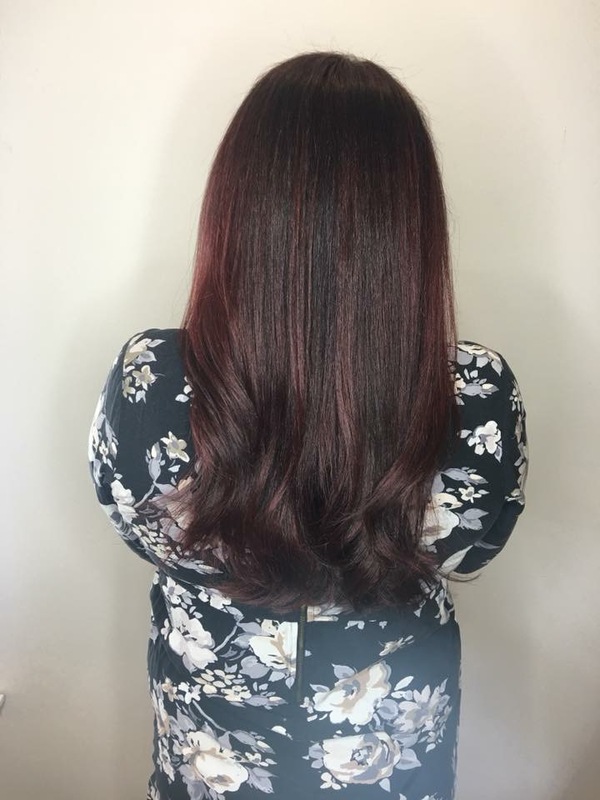 Check this beautiful ruby red color done by Stylist Shannon on her guest Kelly. Is your skin feeling dull? Have somewhere special to be soon? Why do your hair yourself when Eco is here to pamper you? Book your appointment now for Upwork or a Blowdry. A stunning transformation by Amy! Gorgeous! 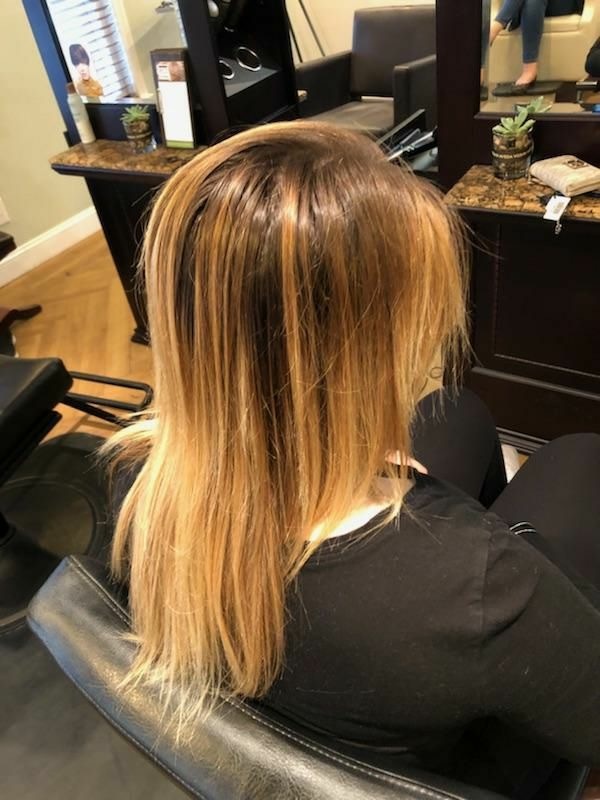 Alex learned how to balayage from our talented master stylist Shannon. Later that afternoon for Alex’s education she balayaged her first guest. Alex picked up the technique with ease and comfortability. It’s absolutely amazing to watch these young ladies learn and grow through their apprenticeships. Call Now To Book Your Consultation! This new guest came to Eco after a major mishap with some at home coloring. Alexis saved the day. These before and after photos speak for themselves. This client received a root touch up and then we glazed her ends with demi+ to become a deeper red. Aveda has oils for any mood at any time... Being plant-derived, they have natural and amazing scents that calm, invigorate, and uplift! Come into Eco to pick yours today! One Cool Blonde...Coming Right Up! She likes to be as pure and icy as possible. Using Aveda’s incredible color, we got her there! Aveda’s color is up to 96% naturally derived. It uses jojoba, caster, and sunflower oils to nourish, strengthen, and protect your hair ( something very many blondes need!). I sent Jacqui home with Aveda’s Damage Remedy Daily Hair Repair, a leave-in treatment that instantly repairs and protects from heat styling. It features quinoa protein to create stronger hair for longer! 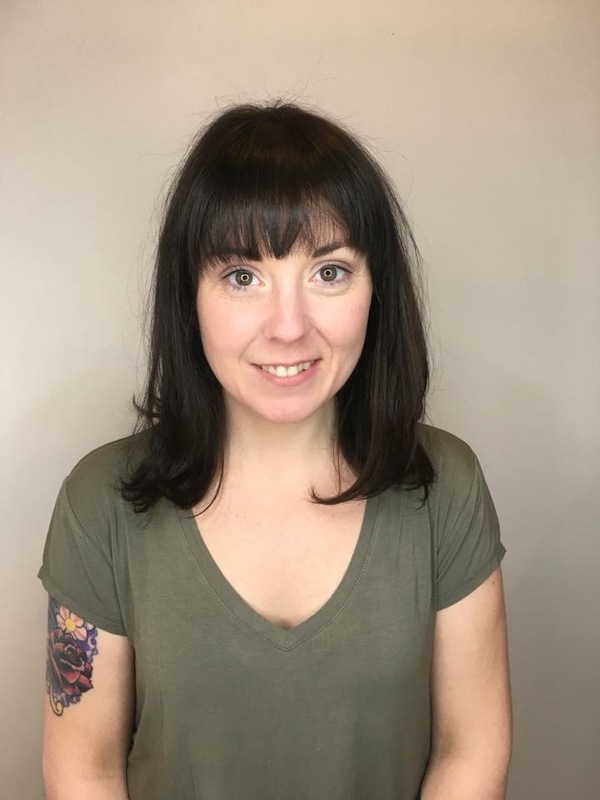 Jacqui has been promoted to Senior Stylist! 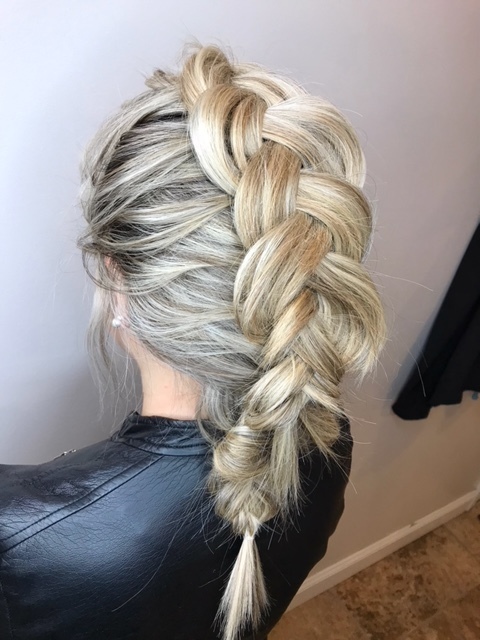 Congratulations to Stylist Jacqui for constantly striving to meet her goals as she continues to grow her craft and expand her knowledge. A major highlight of her year was obtaining her Barbers License! She challenges herself through continuing education and it shows. Jacqui is also a motivated team player who adds a positive an energetic vibe to the Eco Salon. It's appreciated, Jacqui. Keep it up!